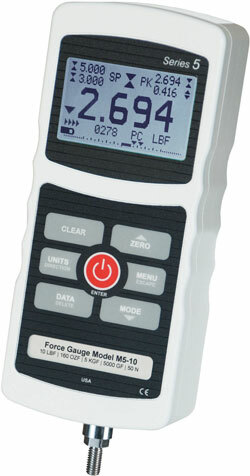 Series 5 advanced digital force gauges are designed for tension and compression force testing in quality control, manufacturing, and R&D areas. 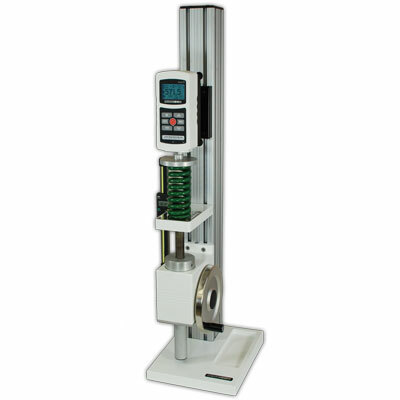 A range of capacities from 0.12 lb to 2000 lb (0.5 N to 10,000 N) is available to address numerous applications in the medical device, pharmaceutical, packaging, consumer products, automotive, aerospace, and other industries. The force gauges feature an industry-leading peak sampling rate of 7,000 Hz, producing accurate results even for quick-action tests. 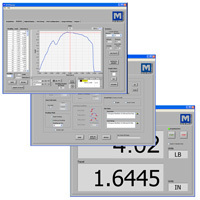 Accuracy is ±0.1% of full scale, and resolution is 1/5000. 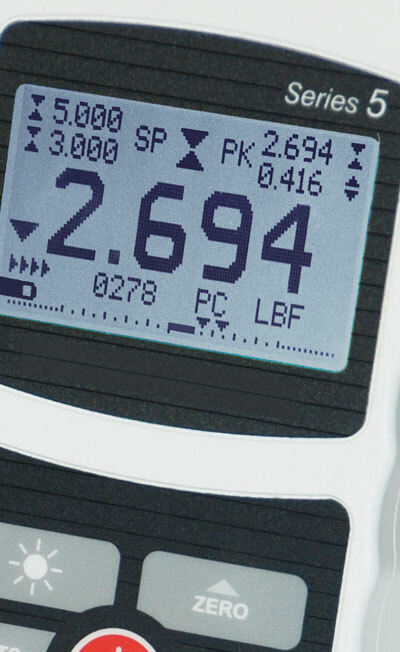 A large, backlit graphics LCD displays large, legible characters, while the simple menu navigation allows for quick access to the gauge's many features and configurable parameters. 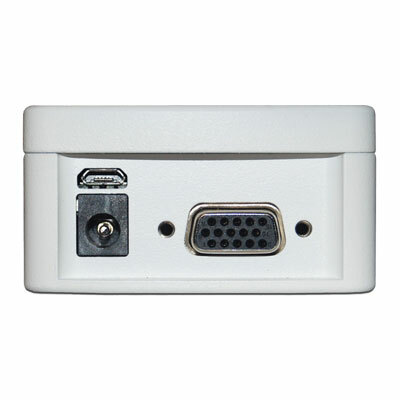 Data can be transferred to a PC or other data collector via USB, RS-232, Mitutoyo (Digimatic), or analog outputs. 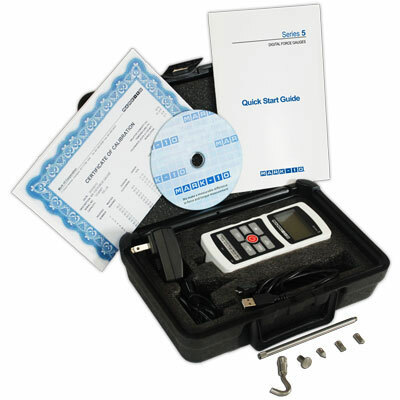 The Series 5's averaging mode addresses the need to record the average force over time, useful in applications such as peel testing, while external trigger mode makes switch activation testing simple and accurate. 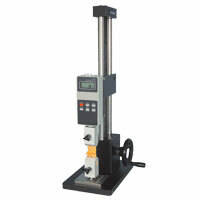 An ergonomic aluminum design allows for hand held use or test stand mounting for more sophisticated testing requirements. 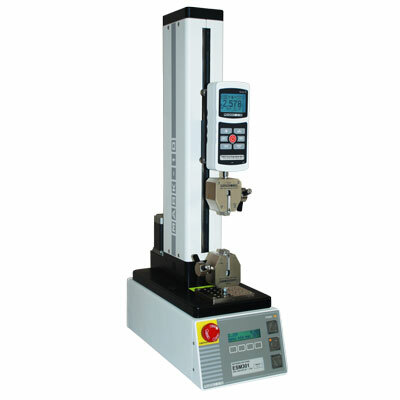 The housing may be reversed in order for the load cell shaft to be oriented up or down, while the display and buttons remain upright. 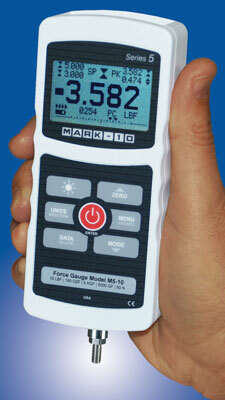 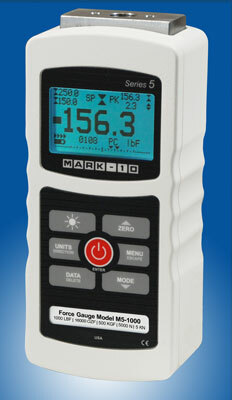 Series 5 force gauges are supplied in a cushioned carrying case with chisel, cone, V-groove, hook, flat, extension rod, universal voltage AC adapter, battery, quick-start guide, USB cable, resource CD (USB driver, MESURgauge DEMO software, and user's guide), and NIST-traceable certificate of calibration with data. 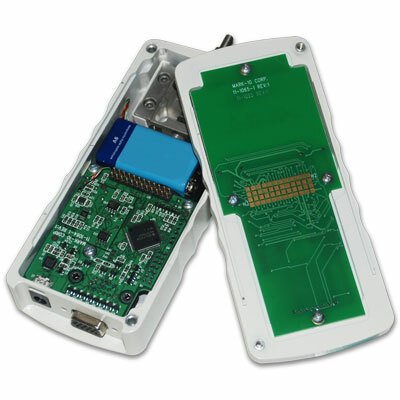 Power AC or rechargeable battery (NiMH). 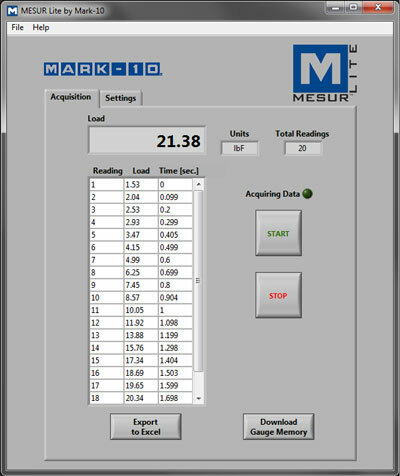 Low battery indicator appears when battery level is low, and gauge powers off automatically when power reaches critical stage. 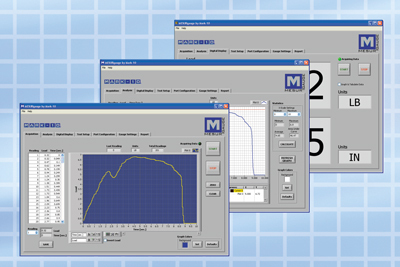 Analog: ±1V DC, ±0.25% of full scale at capacity.